Could you please indicate which exact version you're using? (full build name, not only the version). 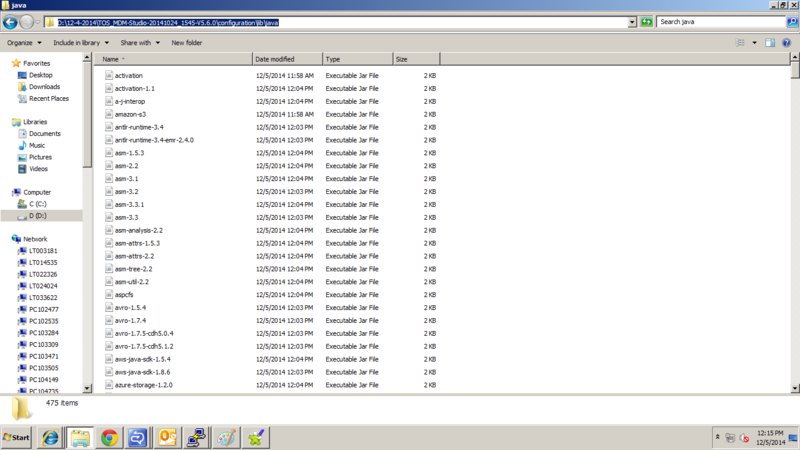 I am using Talend Open Studio for MDM(5.6.020141024_1545). I found unhandled event loop exception also. yes, It looks its got corrupted, is there any way to redownlaod all jars and try to test again ? 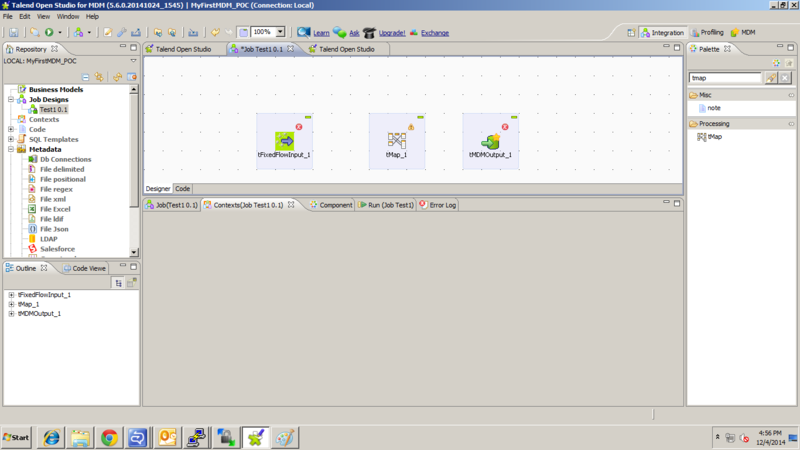 Please look into the below error which i am facing while launching the Talend MDM Studio. Context view is not opening to create context. 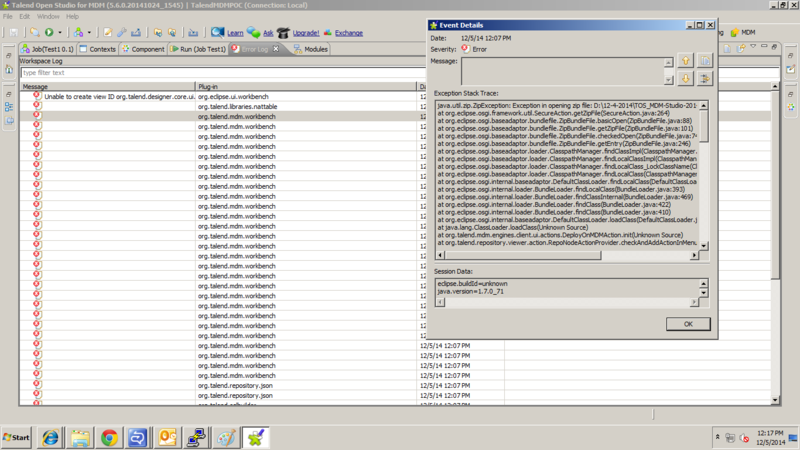 Getting unhandled event loop exception while creating MDM metadata. 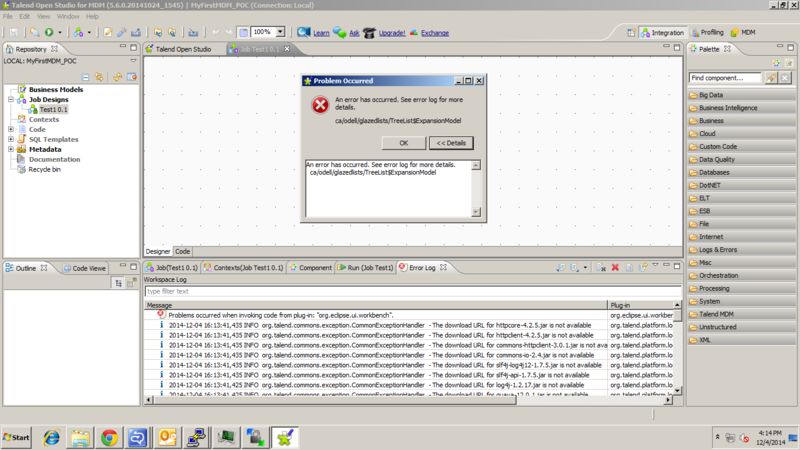 When i tried to load data into MDM server getting javax.xml.rpc error. Please help me to to resolve the problem. Today again i downloaded and installed i see in this foler all jars are for 2 kb. D:\12-4-2014\TOS_MDM-Studio-20141024_1545-V5.6.0\configuration\lib\java. Please help me in understanding the problem. I AM ALSO NOT ABLE TO OPEN cONTEXT AND GETTING THE SAME ERROR AS MENTIONED BY "Rafisk". I had a similar issue (An error has occurred "ca/odell/glazedlists/TreeList$ExpansionModel") and had noticed that the Talend path (installation) was very long. In my long experience with SharePoint, I know that strange issues may be related to long path, and with that in mind, I reinstalled talend very close to the root ("c:\Tools\TOS\". That solved my problem, so you could try same solution!